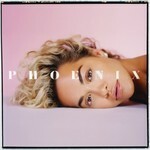 Rita says of new album Phoenix, "One of the most liberating feelings for me is performing and creating music. This album is a true labour of love, and it was important for me to do it my way. I'm so appreciative of the love and support from those who worked with me on the record and allowed me create something I'm really proud of. They gave me the space and freedom to create something from my heart. Both challenging and euphoric at times. I am really proud of and grateful for the journey that the making of Phoenix has taken me on. To my fans, thank you for your patience and thank you always for listening." Rita Ora has released several singles that will appear on the record, including "Your Song," "Anywhere" and "Girls," which featured Cardi B, Bebe Rexha and Charli XCX.